New York – Virtually everyone in the world at some point in the past year saw Edward Snowden’s face on a telescreen. His image was ubiquitous and the information he coveted and later divulged to the world is one of the biggest releases of classified government documents in history. Citizenfour, the new documentary directed by Laura Poitras, premiered in New York City on Oct 10th and has since shook the film world to its very core. Not only is the documentary about one of the most explosive news events in recent history, it is also a moving portrait about one man’s journey of self-sacrifice in the name of the public good. Much of it was filmed in real time when global headlines were reporting on the encounter between young “infrastructure analyst” at Booze Allen Hamilton and a few passionate journalists. Along with some contextual scenes about the NSA and other relevant activists and whistleblowers such as William Binny and Jacob Applebaum, her film mainly chronicles the initial encounters that Poitras, along with Glenn Greenwald and Ewen MacAskill of the Guardian, had with Snowden in Hong Kong’s Mira Hotel just days before they broke the story. The many thousands of documents released by Snowden detail how the NSA, along with Britain’s GCHQ and several other government agencies around the world, illegally and systematically collect and analysize personal data under the obscure guise of “national security,” thus invading the privacy of millions of people around the world, including various heads of state, such as Angela Merkel and Dilma Rousseff. In the U.S., the surveillance state that the government is constructing is an all-seeing, monolithic apparatus “whose reach is unlimited but but whose safeguards are not.” As Snowden explains, NSA programs such as Prism and Upstream take data directly from the servers of various tech firms such as Apple, Google, Yahoo, Youtube, Skype, and Microsoft. And the worst part of all, the tech companies provided full assistance to the NSA. 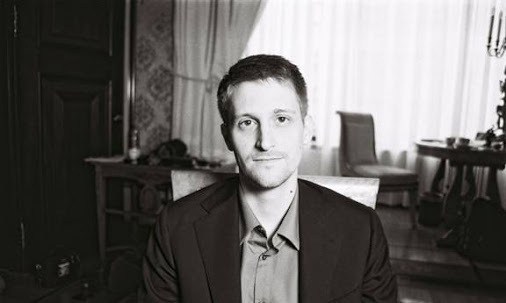 Despite Snowden’s insistence that the stories being published should never be about him the film can’t help but hone in on the soft-spoken, extremely brave, yet vulnerable 29 year old that felt compelled by his moral convictions to tell the world how the oppressive tentacles of the state are slithering their way deep into the everyday public life. In the film Snowden explains how this creeping intrusion has the effect of diminishing the functionality of democracy so much so that society is not longer made up of a social body composed of the elected and the electorate but one of the ruling and the ruled where the ruled have less and less agency over the decisions made by those in power. Despite the severity of Snowden’s situation, as the film unfolds there is a calmness to him that one only finds in someone with a clear conscious. He makes it clear that not only does he have nothing to hide but that he feels at peace with the idea that the public is now empowered to better make its own decisions about what the reach and scope of the government’s power should be. He is also unwavering in his conviction to not be bullied by the powers that be, and it is inspiring almost beyond comprehension. In order for state power to be effective at negating challenges to its hegemony over the body politic it is necessary to normalize the relations of power between those who wield the tools of oppression and those that are subject to it. The implementation and duration of that power must be so frequent and so rigorous that it becomes normalized, and most importantly, internalized by the social body. If these power relations become internalized in every day behavior then it no longer becomes necessary to directly subvert democratic processes because the internalization of oppression becomes a self-perpetuating phenomenon that infects the subconscious and compartmentalizes itself into the social fabric. The surveillance will thus become automatic and perpetuate itself, even in the event that a great majority of people may oppose the illegality of say, the NSA collecting data on millions of people. The insidiousness of such a powerful global power dynamic has hitherto never been created in the history of mankind. When watching this film one cannot help but wonder if the “docile bodies,” as Michel Foucault referred to them, have become so imposed upon that the tipping point to turn back the other way has eclipsed itself. From Mike Brown to Eric Garner, the Specter of Revolt is Haunting NYC.